I can not believe it was 20 years ago, feels like four or five year ago…how time flies. Still a very impressive Whitetail to look at, great story and way to go Milo. Still blows my mind that this buck has stood as the record for 20 years even with all of the QDMA practices that now are applied to properties and people trying their hardest to grow that next record. Mike how much mass does the buck have? 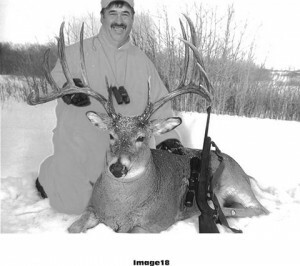 In the picture it looks like he’s not as heavy horned as a lot of other Canadian bucks I’ve seen. 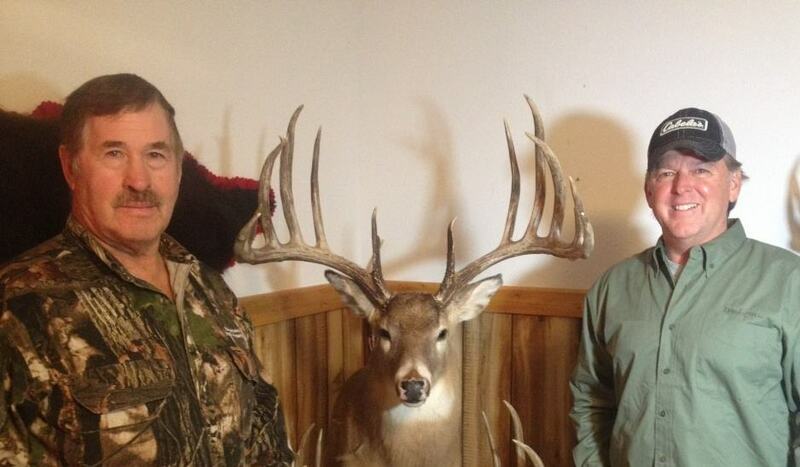 This is one AMAZING buck and the fact you got to see it in person is awesome! I remember when the circus began. I also remember looking at the pix and story on the Jordan buck with a pix of it hanging in a barn with Jordan beside it and the deer dwarfed him. Nothing like a truly huge monster deer to take your breath away.